Note: This letter is published unedited!! It is truism that you are indeed the true leader of our nation for now because you did not usurp the power you have in hand .You were democratically elected and sworn in to be the leader and defender of the nation ,father of the nation , prerogative of mercy. These virtues, values and rights are divine, so man and God keep eyes on you. Before you are people were, but you predecessors in this divine line of power did a very bad job. They ripped – off the nation for the benefit of other nations to an extent that they finally threw the country into a bloody and marathon civil war. With tears on our eyes, we are picking up the pieces of our broken hearts to put together and start all over. A crucial time for our nation because we are living with the reality of the negative impact of the war by the day. Of course, Sierra Leoneans and the whole world is aware of the fact that a clash of interest over mineral deposits especially alluvial diamonds caused, funded, precipitated and accelerated the war to the detriment of Sierra Leoneans but, for the benefit of foreign nations. Following the war, we are again witnessing a perpetual mineral rush ever than before, while heavily impoverished Sierra Leone Still remains at the very bottom of the pile in all aspects of human development. A chronic situation which has gripped Sierra Leone over the past 30 years. So it means what was meant to be a blessing from above has been hijacked and turned to a curse from above. 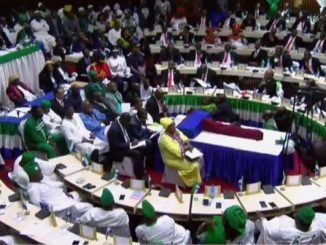 An ugly situation created by self – centred Sierra Leoneans, through bad leadership. The Gola Forest is one of the world's most biodiversity rich ecosystems and for this reason , it is among the world's 25 biodiversity hot spots. What a blessing to have such a precious natural resource in our land! As a concerned Sierra Leonean, I commend your most recent effort to move swiftly and declare the Gola Forest a Trans -Boarder National Park. 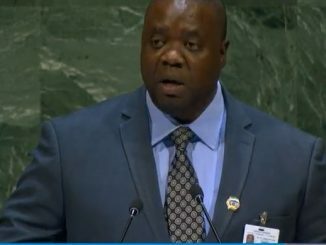 Of course I also commend the effort of your Liberian counterpart who stood alongside with you to make this noble and genuine intention come true. God bless both of you. On the other hand the most recent saga over establishing mines of whatever nature still remains a case to be worried about. what is done in darkness will never be hidden from the wise and prudent and with regards to the turmoil over the Gola Forest, it is crystal clear that certain elements in the Ministry of Mineral Resources and subsidiary institutions attached to that very ministry are behind it. On the other hand the Ministry of Agriculture, Food Security and Forestry is strictly against it. This antagonism has been going on during your tenure of office and it once prompted a public confrontation between the two ministers. You took sides with the minister of agriculture simply because he maintains a healthy view unlike the view of the minister of mineral resources which is sick and kicking for death. Mr President this simply means that you have identified with the problem and precisely know where the fault lies. It is indeed the Ministry of Mineral Resources and related institutions that are behind the unrest and not the seven chieftains that comprises the Gola Forest community. Foreign companies that have eyed the Gola Forest for its mineral deposit have infiltrated the Ministry of Mineral Resources and related institutions and thereby using these institutions to foster misunderstanding and cause confusion among the local inhabitants. There have been allegations of offering of bribes to chiefs and other prominent local authorities with intent to encourage them to accept the idea that mining is far more advantageous for the local inhabitants than keeping the Forest for whatever purpose. This is a battle of good over in which the ministry of Mineral Resources is on the side of evil while the Ministry of Agriculture, Food Security and Forestry is on the side of good. 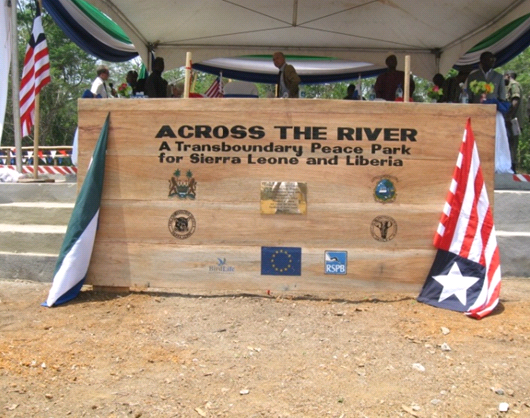 Although donor countries and organisations are pouring in money in order to preserve, conserve and reserve the Gola Forest for sustainable development, so that the local communities, Sierra Leone and mankind as a whole will benefit from this valuable resource, elements at the Ministry of Mineral Resources are on perpetual campaigns to deceive the local inhabitants, Sierra Leone and mankind as a whole. There are concrete plans underway under the auspices of the Gola Forest programme thanks to donor countries and organisations to actually transform the Gola Forest into a vibrant and sustainable income generating machine that has the potential to uplift not only the lives of the Gola Forest communities but all Sierra Leoneans will sustainably benefit from this piece of the cake because there will be too much to share . These plans include moves such as: carbon trading which earn tens of millions of dollar annually, as well as small scale enterprise development and above all Eco-tourism which is so lucrative that it has the potential to generate hundreds of millions of dollars annually. It is very important to note that all over the world where there is an alternative nation just go for sustainable development for the benefit of their succeeding generations, so why should Sierra Leone go the opposite? Sierra Leone is heavily mineral laden, but we should bear in mind that mining is a robber economy. Once the minerals have been removed, they will never be there again, but the environmental destruction will ever be there. If we don't take time, Sierra Leone will soon be left a barren land, in as much as Sierra Leone has been into mining for nearly a century, but it brought nothing but war. Thanks to the Gola Forest, that region enjoys a unique and conduce climatic condition that is favourable to plantations such as coffee, cocoa and the like . The forest serves as respiratory organs (lungs) for the south east of Sierra Leone. So once the Forest will be gone, then all these plantations will go alongside with it and equally all other sorts of flora and fauna of world admiration will follow suite. Does it really worth it Mr President? As for me, it doesn’t. Sierra Leone is a land of immense economic opportunities with huge employment potential apart from mining. So Sierra Leone should start thinking seriously about economic diversification and slowly moving away from mining and embark on agriculture, fishing and tourism. These are the sectors that have the potential to solve the problem of adverse poverty unlike mining which has not only left Sierra Leone so poor and needy but has also ruined and destroyed all that once stood good for Sierra Leone including the pride , honour and dignity. I am saying this because Sierra Leone has been reduced to a beggar's cap state. Even from countries that don't possess a fraction of what Sierra Leone has. I wish the diversification of the country's economy should start right from your tenure of office. 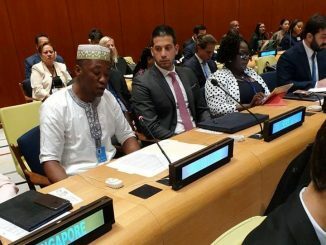 The International Monetary Fund (IMF) , an untrustworthy institution , has already issued a leg-pulling statement based on the quality and quantity of iron ore deposits at the Gola Forest and how that could bring Sierra Leone a staggering 51.4 % growth rate starting from 2012 and that it will be the greatest in the world. After reading carefully between the lines, I immediately realised that statement is meant to cajole your leadership and again disappoint the poor people of Sierra Leone. Such a statement should be skipped over because it is detrimental and not in the interest of the people of Sierra Leone but for the benefit of countries that have always been benefiting from the mineral wealth of our country. Mr President, you are the Shepherd that shouldn't get lost otherwise, the whole flock of sheep will get lost. I acknowledge your respect for democratic principles, but mind you democracy makes provision for decrees to be issued in some cases that are capable of undermining national interest. The Gola Forest is already heading towards that. The leadership of both countries stood shoulder by shoulder to declare the last catchment of tropical rain which once cut across West Africa . 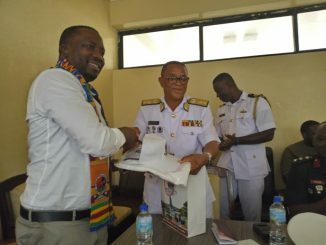 Immediately after that, someone who was even part of the celebration in the capacity of paramount chief is being used to challenge the leadership of both nations. The world has been highly globalised through modern media technology. A lot of people who think positive for Sierra Leone were not in Lalihun village physically to celebrate with you but were with you spiritually through the media . Some even took to the streets organising parades to celebrate these great occasion. I know it happened in Europe and elsewhere around the world because I read articles about it. Will you really allow the sheep to reverse your decision while you still remain the shepherd? Don't you think the world will start thinking it was just a cover – up, but you had a hidden agenda? Don't you think the world and Sierra Leoneans of good will start looking and thinking about you the other way round, Mr president? I am sure this could have a very negative impact on you in Sierra Leone and around the world. If mining should be the only alternative at the Gola Forest, I will be among those that will view you in a very negative perspective! Although the subjects of the paramount chief in question have vowed to take an immediate legal action and the government equally promised an immediate investigation, I think it should go a bit beyond that. The local people have full right to take the chief to court, because he is just a custodian of the land and he should not lease or sell it. That seems like an abuse of the power given to him by his own people. On the other hand, the investigation promised by the government should leave no stone unturned. It should delve into the length, breadth and bottom of this sensitive issue and bring whosoever that is behind it to justice, and the delivering of appropriate punishment where wrong doings are unveiled should be the ultimatum. Moreover, Mr. President, I reckon you should issue an immediate decree that should move heavily armed troops that will seal – off the whole Gola Forest area. This doesn't mean that you have contravened democratic principles. Since you yourself declared the Gola Forest a Trans-Border National Park , you should not stand aside and watch while national interest is being jeopardised. The post war environmental destruction in Sierra should now be treated with a very firm hand. I mean not only the Gola Forest, but the country as a whole. What is going on around the Freetown peninsular and elsewhere is indeed a big disgrace to the nation.